Narrator: Until his death in 1998, Kurosawa directed over thirty films, including 'Rashômon', 'Seven Samurai', 'Throne of Blood' and 'Ran'. His work was a huge influence of directors like George Lucas and Steven Spielberg, who revered him as a master of the cinema. He was criticised in Japan for appealing to an International audience, yet he did more than anything else to reveal Japanese society to the West. This is a documentary I've seen a few times, as it is fairly well produced and edited together covering the broad scope of the career (and some parts of the life) of filmmaker Akira Kurosawa. The opening images seem pretty neat, with the Tokyo huge-screen in the city plays the infamous arrow climax from Throne of Blood. But it's mostly just an all-too-short pastiche of interviews and some narration that wavers from being informative or kind of unnecessary, depending on whether it's reading from quotes (this is the part that is the latter). 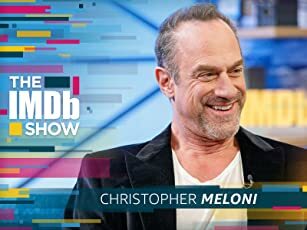 It's probably worth noting that the DVD might hold more interest for those who saw the documentary and felt cheated; there's a trove of interview clips that probably out-time the actually running length of the documentary here. Some of the interviews do come into some good use, like from Kurosawa's own family and from those who are still around to kick some small anecdotes or notes of praise. Even Clint Eastood and James Coburn give their dues for some of the pivotal inspirations for their own careers. 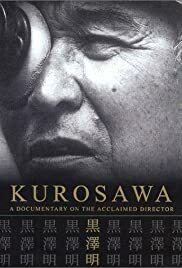 It's a fitting TV documentary that puts the important bits from Kurosawa's autobiography up-front (i.e. the earthquake in the 20s, the suicide attempt, pretty much all the major works noted to greater or lesser degrees depending on their notoriety). That it isn't the ultimate testament to the director is a letdown, as the more informative, enlightening looks at his work and life can be seen in Stuart Galbraith and Donald Richies books.